The recipient should be a person who is kind, positive, caring and an active participant in making the world a happier place! Dennis not only made an impact on the people who knew him, he also impacted people he’d only met once or twice. Since Dennis passed away in 2012, the family has heard numerous stories of how he made a positive difference in countless situations. 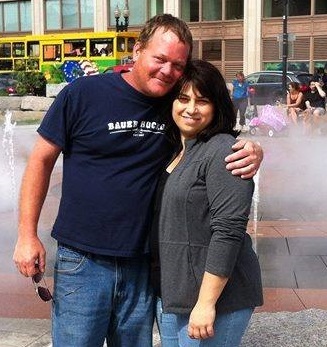 Dennis’ big grin, sense of humor, bear hugs, and warm personality are still an inspiration to people today. The Chase Family, in honor of a man who is missed every day, is excited to recognize kind-hearted, optimistic people who are an inspiration to their friends, family, and community! The Chase Family chose two recipients for 2017 and will accept nominees for all future awards. Her words were spoken to community friends, family, and caregivers. Everyone was a loved one to Nancy, and her positivity was infectious. Even towards the end of her life, Nancy remained optimistic and selfless, often cheering up the people around her and putting others before herself. This is how we remember her: full of love and positivity. Nancy’s family has created a team to participate in this special Smile Walk; thank-you in advance for supporting their efforts. Phoebe Truskey is a very special 9-year-old from Comber, Ontario. Phoebe has raised money to donate to the Canadian Cancer Society twice in April which is Daffodil month, and once in December to help offset costs for rides to treatments for cancer patients. 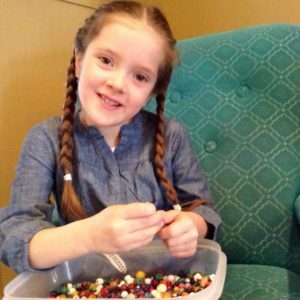 Phoebe’s fundraising efforts include donations from cutting her own hair, making and selling bubble wands and bracelets; she also participates in walkathons, and tree planting. In addition to fundraising, Phoebe paints and hides rocks in her neighborhood to bring smiles to those who find them. For more on Phoebe, please read the article Windsor Star did on her in 2016. Congratulations to Phoebe for being one of the first three recipients of the Dennis B. Chase Optimism Awards. Phoebe has graciously offered to participate in this year’s Smile Walk – please click here if you’d like to pledge her!